Ken Minniti and Target Market Media Publications have been very helpful in supporting my efforts as a publisher for one of their trade magazine publications. The professionalism and experience of the staff, and Ken’s vast knowledge of the industry make is easier to meet the challenges of this industry. 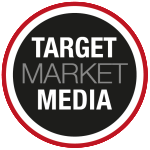 I would recommend working with Target Market Media to anyone, anytime.